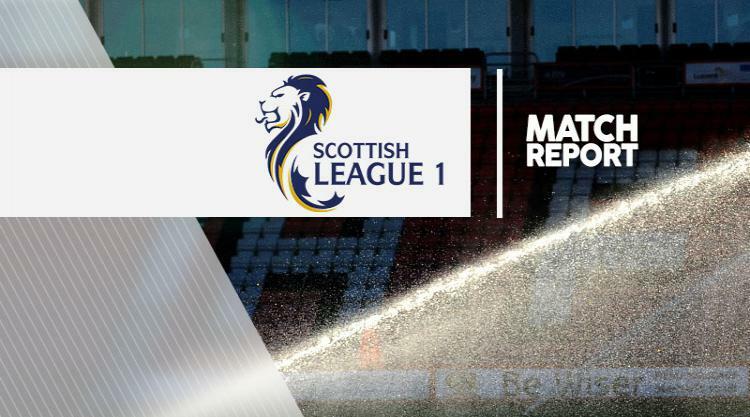 Ladbrokes League One leaders Livingston continued to close in on promotion with a 1-0 victory against struggling Stenhousemuir. Nikolay Todorov headed in the only goal of the game in the 24th minute. Livi's lead at the top remains nine points after second-placed Alloa left it late to beat Brechin. Andrew Graham scored in the first minute of stoppage time to earn his side a fifth win in six games. Brechin, who remain in fourth as they chase a play-off spot, thought they had earned a point after Andrew Jackson cancelled out Kevin Cawley's first-half opener with 14 minutes left. The night's other scheduled fixture between Albion and East Fife was postponed due to a waterlogged pitch.